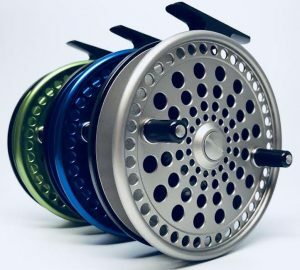 We have a couple Kingpin Micro Zeppelin Float Reels for anyone who is still looking for a great summer trout pin, with a 4″ spool. We have one with a Merlot spool and a Slate Grey backplate. The other one we have has an Orange spool with a Black backplate. Thanks for looking! Check out the new Custom Zeppelin Float Reels that are now here! Beautiful one of a kind Gold and Bronze combinations. 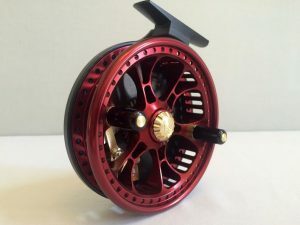 If you have any questions or would like to inquire on these fantastic reels, contact Mike at (570) 704-7123.